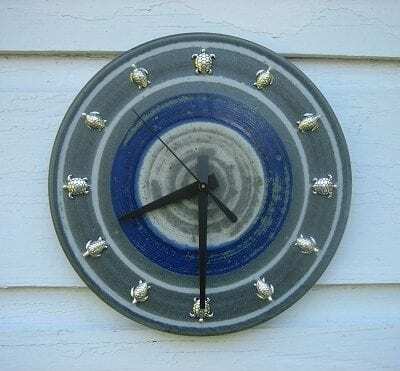 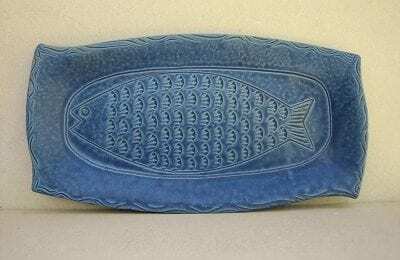 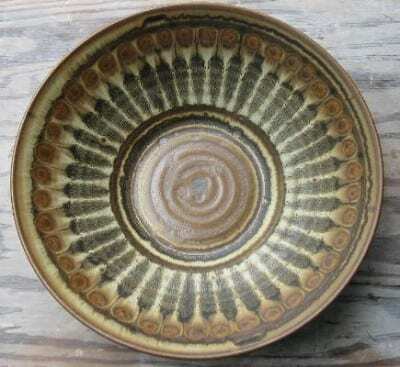 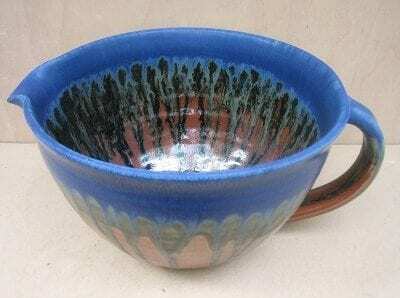 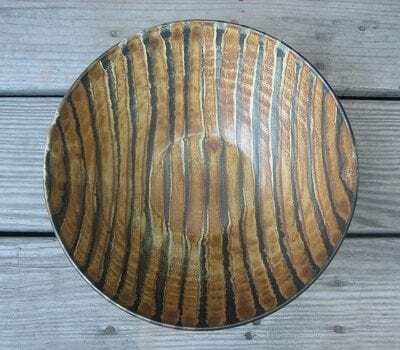 Jim Fineman’s stoneware bowls, plates, mugs, oil and electric lamps, planters, jars, vases, lanterns, votives, colanders, pitchers, honey pots, crocks, jugs, birdhouses, candlesticks, soap dishes, fountains and clocks are made in his studio on North Carolina’s Outer Banks. 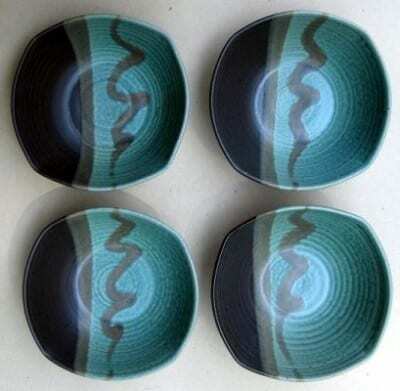 Glazes ranged from earth tones to rich blues and greens. 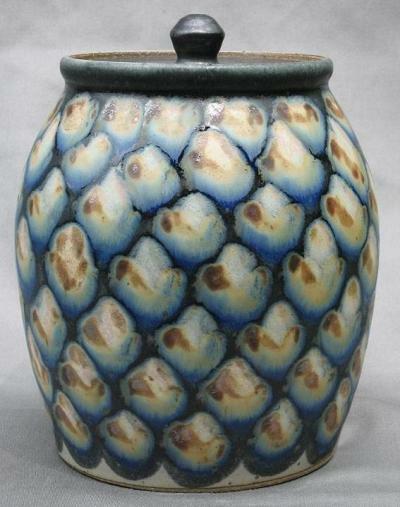 Decorations include painted patterns, leaf imprints, carving and appliques.